Wrap-Up -- Tuesday’s season finale in Cleveland was about past, present and future. 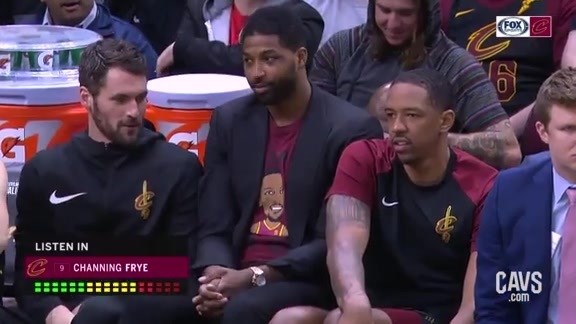 It marked the celebration of Channing Frye’s 13-year career, it marked (unfortunately) the squad’s 10th straight loss to end the campaign and it marked the beginning of a new era – complete with a new name on what’s soon to be a completely renovated arena. 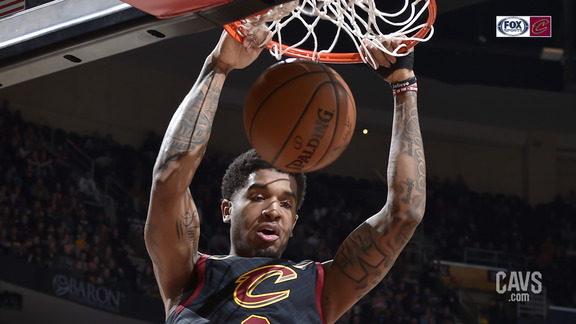 Playing their first official game at what’s now called Rocket Mortgage FieldHouse, the Wine & Gold wrapped up a frustrating regular season – finishing with a 19-63 mark after reaching the NBA Finals in each of the past four years – falling to the Playoff-hungry Hornets, 124-97. The Cavaliers started off strong, trailing by just a deuce after one period. But the Hornets – who came into the contest winners of three straight – kept the pressure up from there, notching at least 30 points in two of the next three periods while holding the Wine & Gold to just 17 in the third. When the game began getting away in the fourth quarter, both coaches began emptying their benches. James Borrego needed to keep his squad rested and ready for a must-win on Wednesday against Orlando while Larry Drew was looking to get 13-year-vet Channing Frye a nice run to cap his career. Frye answered the call in style – scoring 10 points in the final period, going 3-of-5 from the floor, including 2-of-3 from long-range – each field goal driving the bench and the sold out crowd into a frenzy. Frye led five Cavaliers in double-figures – with rookie Collin Sexton leading the way with 18 points on 8-for-17 shooting to go with a career-high 10 assists, getting his final dime on the final three-pointer of Channing’s career, a 27-foot bomb with 35 seconds to play. 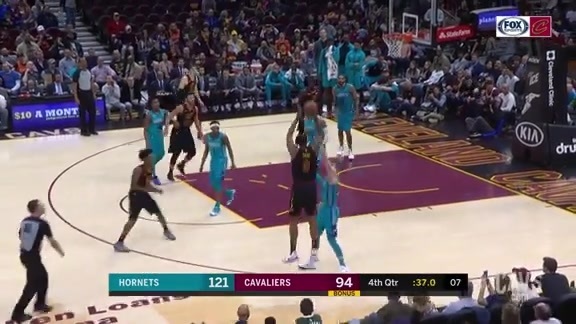 The Cavaliers outscored Charlotte in the paint, 48-34, and grabbed five more rebounds, but the Hornets drained 22 three-pointers on the night, with three starters hitting at least four triples apiece and four more reserves hitting at least two. Balance scoring not enough on Tuesday night against Charlotte. Jordan Clarkson bounced back from a rough outing on Sunday afternoon against San Antonio, following up with 16 points in the loss – going 7-for-13 from the floor, including 2-of-4 from beyond the arc. Tuesday’s effort was the 72nd time Clarkson tallied double-figures off the bench this season – tops among all NBA reserves. Cedi Osman wrapped up a solid sophomore campaign with 17 points and four boards, going 7-of-13 from the floor, 2-of-5 from long-range. Larry Nance Jr. also completed a stellar first complete season with his hometown team – finishing the year with four straight double-doubles, grabbing double-digit boards in seven straight with his 10-point, 12-rebound performance on Tuesday night, adding a team-high six assists and the squad’s only two blocks. 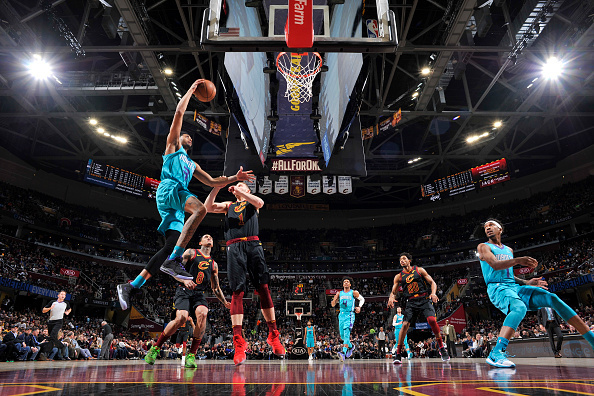 The Hornets – who snapped an eight-game losing streak in Cleveland with the win – were led by Kemba Walker’s 23 points and another strong bench effort from their two top reserves, Jeremy Lamb and Frank Kaminsky, who combined for 37 points in the win. 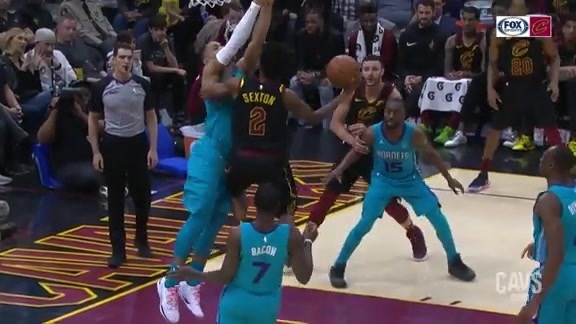 Turning Point -- If anyone was under the misconceived notion that the shorthanded Cavs would lay down for Charlotte – erasing the Hornets’ 12-point first quarter lead to tie the game dispelled that thought. 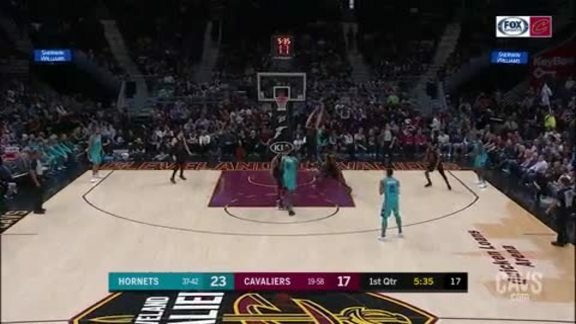 But the Hornets began asserting their will in the second quarter – even after the Wine & Gold erased an eight-point edge – using a 20-8 run just before intermission to re-take a double-digit lead. Late in the third quarter, Charlotte opened an 11-point lead on Miles Bridges reverse layup and kept it at double-figures the rest of the way. 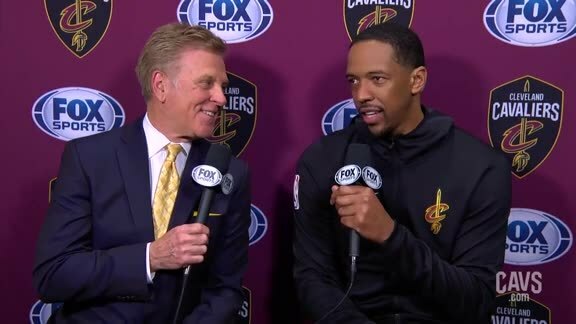 By the Numbers – 1,049, 4,002 … three-pointers and rebounds that Channing Frye has tallied over the course of his 13-year NBA career – becoming just the 36th player in history to top the 1K and 4K marks in both categories. Among seven-footers, only Dirk Nowitzki has canned more career triples than Frye. 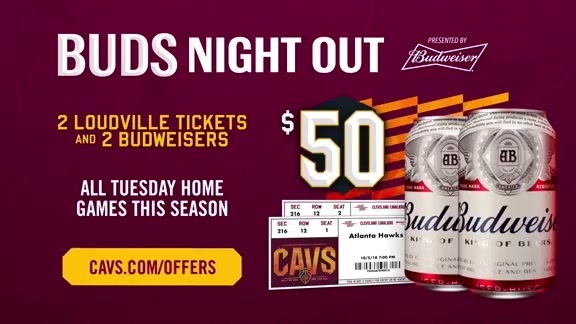 Up Next -- The Cavaliers head into the offseason with a pair of first-rounders in the upcoming Draft, including a Lottery selection that will be determined on May 14 in Secaucus. From there, it’s onto Summer League, the league’s free agency period and Training Camp in preparation for the franchise’s 50th season at the state-of-the-art Rocket Mortgage FieldHouse. Cavaliers forward Channing Frye spoke with Fred McLeod following Tuesday’s loss to the Charlotte Hornets. 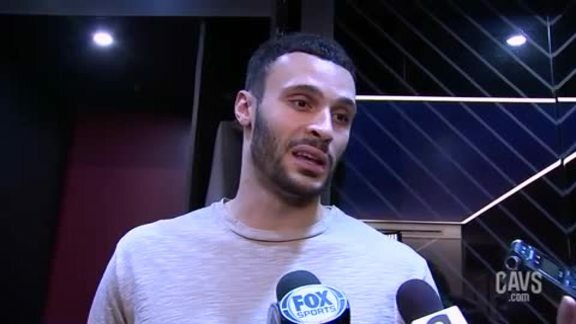 #CavsHornets Postgame: Larry Nance Jr.
Cavaliers forward/center Larry Nance Jr. spoke with the media following Tuesday’s loss to the Charlotte Hornets at Rocket Mortgage FieldHouse. 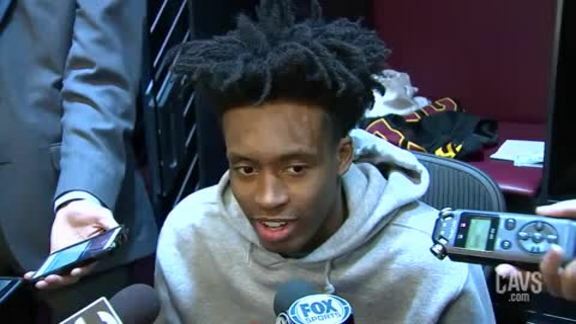 Cavaliers guard Collin Sexton spoke with the media following Tuesday’s loss to the Charlotte Hornets at Rocket Mortgage FieldHouse. 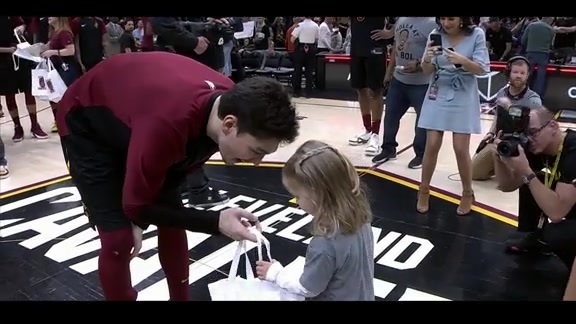 Lucky members of Wine & Gold Nation got to join the Cavaliers on the court following Tuesday's Fan Appreciation Night to receive the game-worn jerseys and shoes. 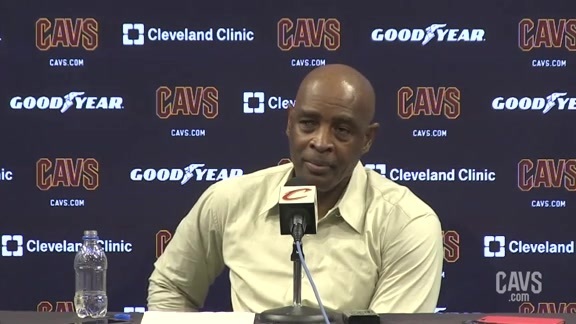 Cavaliers Head Coach Larry Drew spoke with the media following Tuesday’s loss to the Charlotte Hornets at Rocket Mortgage FieldHouse. 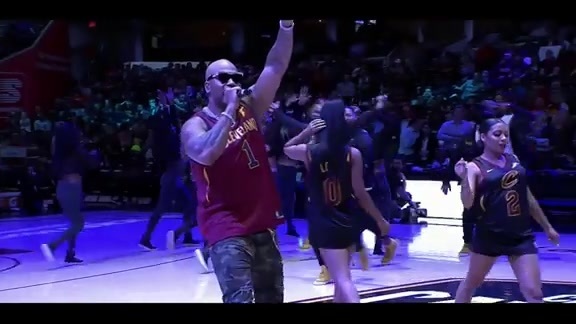 In his final minutes as a Cavalier and NBA ball player, Channing Frye knocked down shot after shot, including a pair of triples in Tuesday's Fan Appreciation Night at Rocket Mortgage FieldHouse. Larry Nance Jr. raises the roof with a big-time dunk in the fourth quarter. 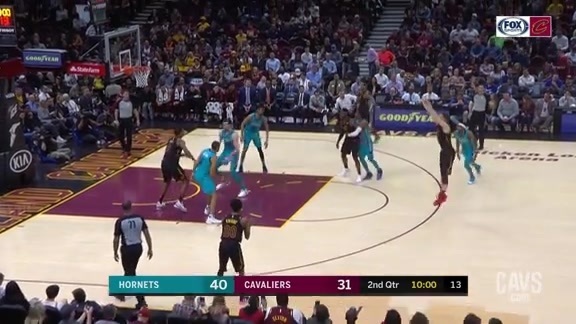 Larry Nance Jr. sends a missile down court to Cedi Osman who knocks down the wide-open layup. 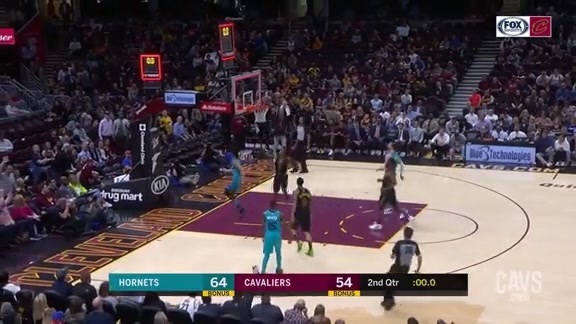 Collin Sexton finds Ante Zizic down low for the basket midway through the third quarter on Tuesday night. 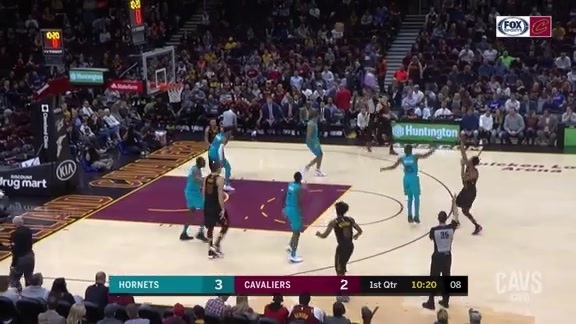 Jordan Clarkson tosses a high dime to Collin Sexton who just gets it in before the halftime buzzer sounds. Collin Sexton races by the Hornets 'D' before laying in the soft bucket midway through the second frame. Nik Stauskas pulls a quick fake stutter step on the Charlotte defender before knocking down the second-quarter trey. 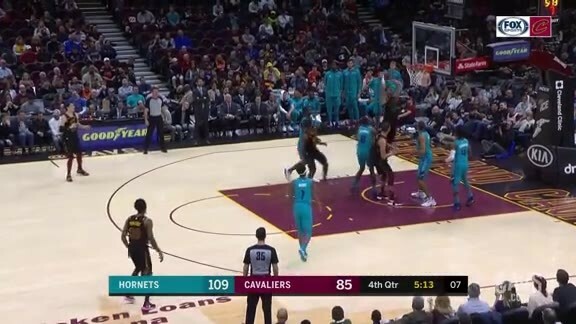 Marquese Chriss picks off the Hornets' pass before throwing down the wide-open slam dunk midway through the first quarter. 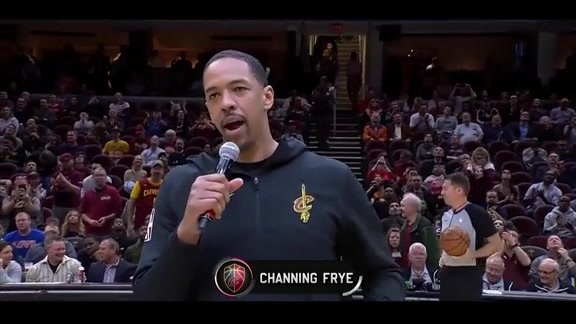 Cavaliers center Channing Frye addressed the crowd at Rocket Mortgage FieldHouse on Tuesday night on Fan Appreciation Night. Brandon Knight knocks down a three following some impressive passing by his teammates. 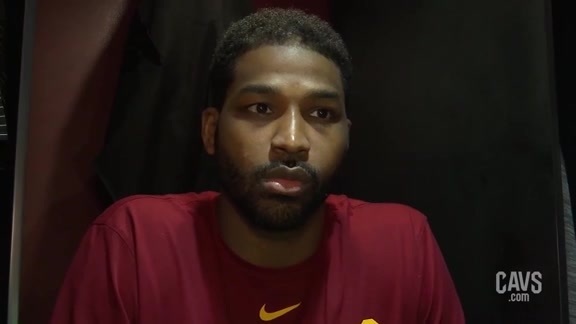 Cavaliers forward/center Tristan Thompson discusses the 2018-19 campaign with the media prior to Tuesday’s regular season finale. 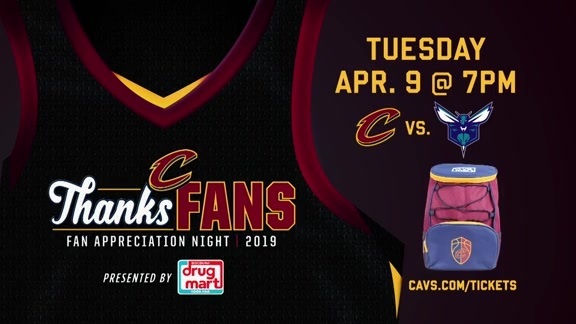 Prizes will rain down at The Q as the Cavs host the Charlotte Hornets on April 9 for Fan Appreciation Night presented by Discount Drug Mart.